Girl starts blog about fashion, girl becomes wildly successful for her infamous ensembles and after a couple years of posting is asked by Coach to design a bag. WOW. I am so inspired by Emily at Cupcakes and Cashmere. And speaking of bags I am in love with these personalized totes by iomoi. I have spent more time then I like to admit dreaming about what design I would pick. Oh!... that's how you do it. 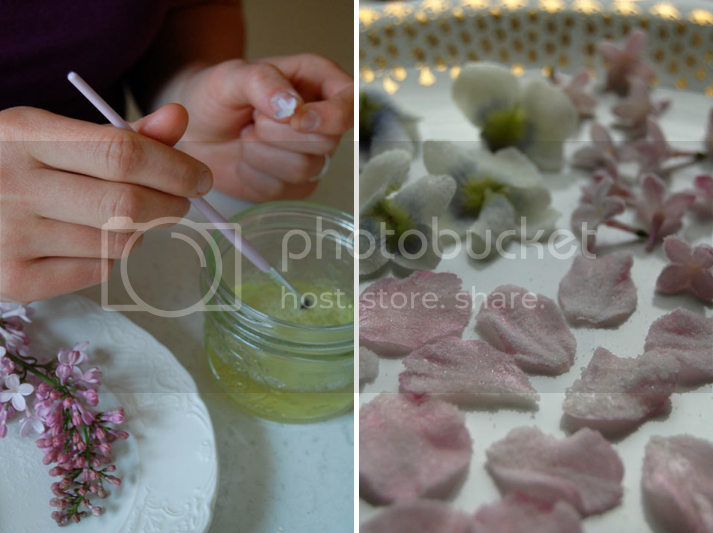 How to make sugared flowers found on Design Sponge. I love Sunday Supper's martini bar and this roasted carrot salad over at A Lovely Morning looks divine. And finally I am loving the vintage photo series at the Sartorialist and I cannot get enough of a Collection a Day... look at the vintage string, sigh. Oh my. So much to love in this post. Totally inspired by Emily's success and I love her inspiration board. A work of art in itself. And that martini bar looks divine. great picks! i love everything you've pointed to here... that prada-esque swimsuit from the sartorialist was one of my faves, too. I am pretty sure that that bag is for sale through Coach... so cute!